The Massachusetts Coalition for Oral Health (MCOH) promotes effective community preventive measures to improve the oral health of all Massachusetts residents. Our site will be useful for consumers, students, health providers, school nurses, health advocates, policymakers, and educators working in a variety of settings. This report describes anti-fluoridation activity and dominance on the Internet and social media, both of which are community water fluoridation (CWF) information sources. This report provides an update on the status of community water fluoridation in Massachusetts. In this month’s letter, ADEA President and CEO Dr. Rick Valachovic explains why community water fluoridation—a public health intervention most of us take for granted—is under attack as never before. Our White Paper on School-Based Oral Health Programs, Reaching New Heights in Health with School-Based Oral Health Programs, was printed and distributed to Massachusetts school health providers by the MA Office of Oral Health, an MCOH member. Coalition members are hopeful that this White Paper will be useful in providing dental and non-dental health providers with the information needed to better understand new regulations, school-based oral health program models, and effective strategies for preventing tooth decay. 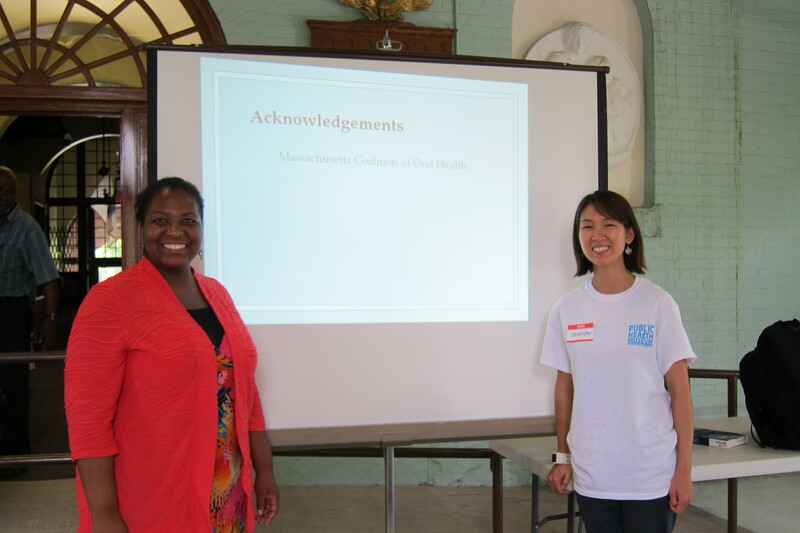 This summer, three MCOH members – Jennifer Au and Jetoria Irving from Tufts University School of Dental Medicine, and Lisa Laspina from Forsyth School of Dental Hygiene – were involved in a program called Outbreak. 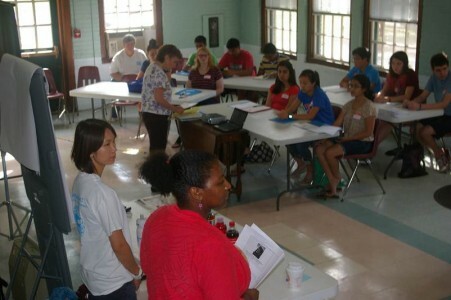 It was a 5-day program to introduce high school students to public health. 24 students attended sessions on dental public health, foodborne illness, emergency preparedness, vector-borne disease, and field trips to the Waterworks Museum (Newton, MA) and the Wall Experiment Station (Lawrence, MA). 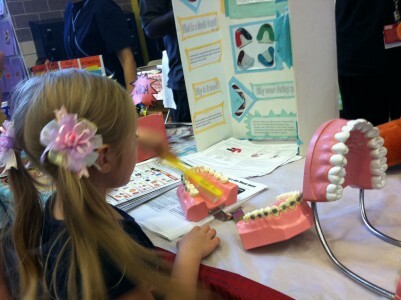 Oral Health Day was a wonderful experience. Jennifer Au and I teamed together to prepare a curriculum that included PowerPoint slides, stories, and interactive activities. The interactive activities were in place to reinforce the overarching message, covered in PowerPoint, to ensure that the students were not lost in the details and could positively relate to the material covered. Each moment with the students was seen as a gift and irreplaceable opportunity to touch young minds, with a goal of inspiring, educating, and challenging the youth to prioritize their oral health in their day-to-day lives. The commitment to truth, clarity, relatability, and energy was successfully expressed, by Jennifer and I, through the lectures and interactive activities with the students. Our hopes were that we would instill within the students a fact-based foundation of proper dental care and empower them to be advocates within their communities by decreasing dental disparities and increasing awareness. This experience has taught me that the next generation of future health care professionals, though still young, is more than eager and capable of rising to understanding the complexity of oral health improvement and facilitating fresh, effective ideas in hopes of achieving optimal health goals. Before the oral health session, students had reported they were mainly interested in careers in medicine, epidemiology or research. But after their session, several students approached the presenters with their new interest in dentistry. Overall, this program was a meaningful and significant way to expose students to oral health and dental public health. The Public Health Museum is the only museum of its kind in the country. Its mission is “to educate the public about the achievements and contributions of public health in preventing disease and improving the health of individuals and communities in Massachusetts, and worldwide; and to inspire students, researchers, health care workers and public health professionals to build upon the past and continue to advance the future of public health.” Please visit their website to learn more. Pictured: Jennifer and Jetoria giving instructions for an upcoming team activity.